Once you reach black belt in Brazilian Jiu-Jitsu (BJJ), you look back and ask yourself what you could have done differently, were you to do it all over again. Of course, the black belt is not the end of your BJJ journey, but it is often looked at as the pinnacle of it. Few people reach the level of black belt, but those that do will tell you that once they did, they realized there was still so much to learn, and that they will never know everything. BJJ is both a traditional martial art and a cutting-edge one. Many people, with different life experiences and backgrounds, continue to practice the art of BJJ. You have to learn the old, while keeping up with the new. Here are 10 Things I Wish I Knew As A Brazilian Jiu-Jitsu White Belt. Sparring was a way to practice my techniques I had been repping. One thousand, three thousand, five thousand, and ten thousand, 5-minute rounds. These were the number of rounds I should have aimed for at the minimum, to earn my blue, purple, brown and black belts, respectively. In these rounds, I should have mixed up the experience levels of who I would spar with from white to black belt and the size of the partners from heavy to light people and tall to small people. When it comes to improving your BJJ game, drilling and rolling in class is obviously the best way. What I should have done more of was put some time aside to put in some extra studying outside the BJJ gym. There are so many great BJJ resources out there, such as instructional videos and breakdowns. By reviewing videos of techniques that I been learning in class, I could have got the hang of things a little faster and sped up my development. I should have been a little more diligent with my warmups. Even though they might not be as fun as drilling and sparring, they are important. The warmups should have included more jogging, break falls, forward and backward rolls, hip escapes, and the stretches should have been those that directly related to helping my BJJ. BJJ tournaments are one of the best ways to test your skills and measure your progress outside of the gym. One of the truest tests of your BJJ skill is in a tournament. You submit your opponent, they submit you, you win via points, or they win via points, these are the outcomes of a BJJ match. What’s important is that the more I competed, the more I would have learned. I would have filled in as many holes in my BJJ game as possible. Luckily, there is no shortage of tournaments nowadays. I should have learned from everyone. Every instructor in the class, or seminar, had something unique to offer to my game. Their wrestling background would have helped my BJJ wrestling, or their background in capoeira could have shown me a whole other world of movement. Making notes of the details that your instructor highlighted in class is important. I wish I would have taken notes of all the techniques I learned along the way. So many instructors showed me so many techniques throughout the years that it’s almost impossible to recall them all. Looking back, I should have demoted myself when I asked the instructor about when my next belt ranking would occur. Some instructors would make you wait a year longer if you brought up the question of a promotion. I understand now that instructors have different criteria they promote you on. Skill, time in training, tournament experience, humility, these are just a few of the criteria for promotions. Asking when, or bragging that you’re better than the last person that the instructor promoted is probably not the best idea. I took too much time away from BJJ at times. My reasoning? I wanted to improve my cardio, or I wanted to lift weights to get stronger. What I know now that I didn’t know then was I could have become physically stronger or improved my cardio by the very act of practicing the art of BJJ. Adding in some functional strength and conditioning into your BJJ program is important, but you need to know the right amount. You also need to make sure the type of strength and conditioning is functional and contributes to your BJJ game. I could only show people technique the way I know how to do it. Once they see it, they may change a movement and make it their own. Every BJJ practitioner has their own interpretation of movement, just as every artist paints a different and unique masterpiece. Different instructors may show slight variations of techniques that work for them. Looking back, I should have taken this to heart and explored alternative ways to perform techniques once I had a good understanding of the fundamentals down. Hopefully, this list of items I wish I knew as a white belt will put things into perspective for your own BJJ journey. Ultimately, we just have to remember we are all learning and improving every day. 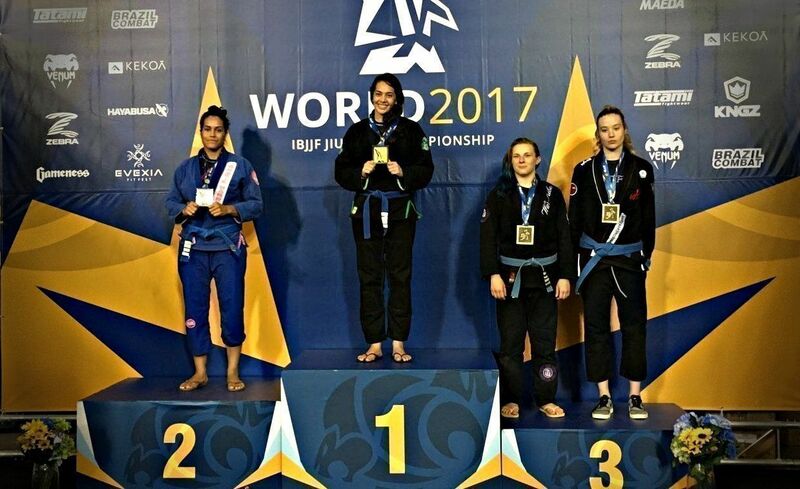 There is no pinnacle to BJJ, but individual milestones we all create for ourselves, and even that differs from person to person.